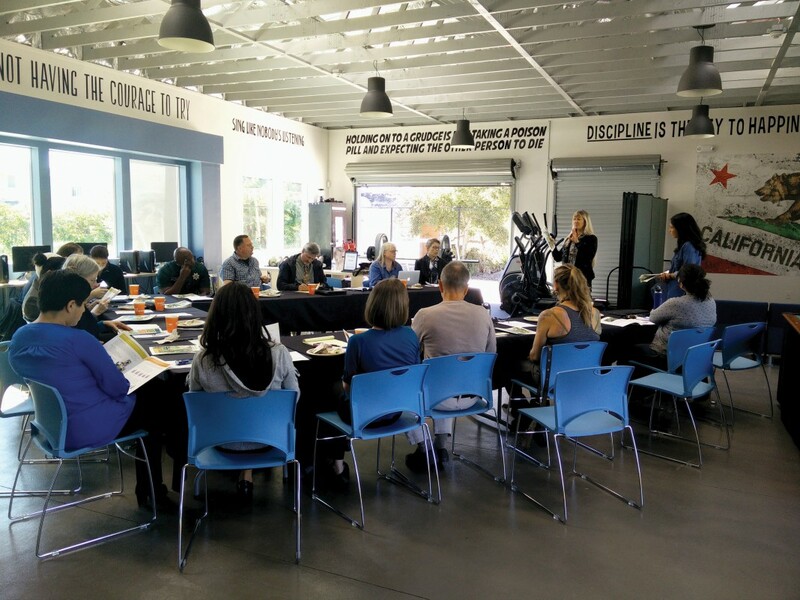 Isla Vista stakeholders met on Thurs., Nov. 12 for the IV Community Network Monthly Meeting to discuss recent events — such as Halloween and the passage of AB 3 — and future plans at the newly built St. George Family Youth Center. Attendees included IV Recreation and Parks District General Manager Rodney Gould, third year history of public policy major and External Vice President for Local Affairs Paola Dela Cruz and Community Resource Deputy James McKarrell. After introductions and a set of announcements regarding upcoming events, Dela Cruz began the the discussion by recapping her office’s and students’ efforts to keep Halloween peaceful. Dela Cruz also mentioned the University of California IV Volunteer Program’s efforts to maintain a cordial relationship between officers and students, among some of the alternative events her office organized. She ended the Halloween recap with an announcement that a committee will begin planning for the 2016 festivity early next year, and said that a Day of the Dead event the scale of this year’s Meet Your Neighbor Day has been envisioned. Dela Cruz expressed that she’s open to feedback to relay to the search committee for a new Associate Vice Chancellor for Public Affairs and Communications. She also gave a small overview of her ongoing “Latinos in IV” project and mentioned a developing website for IV landlord information, before she stepped out to participate in the Million Student March that was starting on campus as she spoke. Santa Barbara County Supervisor Doreen Farr’s representative Esther Aguilera spoke about an ongoing plan to make traffic in IV more fluid, improve the parking situation and her office’s participation in AB 3 planning. Sergeant Rich Brittingham and Senior Deputy James McKarrell were present to report on IV Foot Patrol Halloween records and future plans, while Sergeant Matt Bowman and Lieutenant Mark Signa reported for the UC Police Department. Sgt. Brittingham also said that due to the calm nature of Halloween the past two years, there’s hope of a declining police presence for the upcoming years, partly because of the high price tag that accompanies the extra power to patrol the streets of IV throughout the festivities. Signa added that police presence during the Delirium concert was also expensive, but that investing in those types of events is the correct approach. IV Food Co-op General Manager Melissa Ilana Cohen expressed her hope for a scaling down in law enforcement presence, considering that business was down. Stakeholders then started circulating ideas for business participation in university organized events, including the idea of having a vendor at the long lines for the Snoop Dogg concert. The Halloween Adopt-A-Block event, dedicated to clean up IV streets after large events, picked up 2,700 pounds of garbage this year, compared to the over 4,000 pounds picked up in 2014 and the 40,000 pounds in 2013, according to Gould. To end the meeting, Executive Director of IV Youth Projects LuAnn Miller and THRIVE IV Program Coordinator Julia Lara gave the 2014-2015 annual report of THRIVE’s actions and findings. “[THRIVE IV] is a community-wide initiative to improve outcomes for children and families who live in IV,” Miller said. The annual report included information on IV children’s health, their preparedness to enter kindergarten, available educational spaces and family support. The next IV Community Network Meeting will be held on Dec. 10., where IV Youth Projects and THRIVE will share more of their visions for IV. Feb. 9, 2016: This article has been updated to reflect current information.